My Name is Not Alice is a dark urban fantasy that avoids the trap of humorlessness. Darkness and trauma are balanced with genuine humor and human affection in this tale of girl so estranged from her true self that she doesn’t use her given name. In the beginning, she doesn’t seem oppressed at all: blond and pretty, Lizzy (as she calls herself) is a popular high school princess, part of the in crowd. But her life — what she wears, who she eats lunch with, what she thinks is important — is ruled by an evil queen, Jenny. As she begins to think about breaking free, she has a strange and frightening experience in the park one night. This leads to new friendships, infatuation that turns to love, and startling discoveries about her family and herself. It turns out monsters and demons are real, but so are magic and heroism. Working with her new friends, Lizzy/Alice chooses to join the fight her own mother abandoned. She develops from anxious and desperate to fit in through powerful and reckless to humble and wanting to be part of the solution. Magic in this story comes at a price: the practitioners have to work at learning to use their power, and there is a physical toll from using too much too quickly. Love, too, is not easy. People in this book make difficult choices — sometimes wrong, sometimes right — because of love. 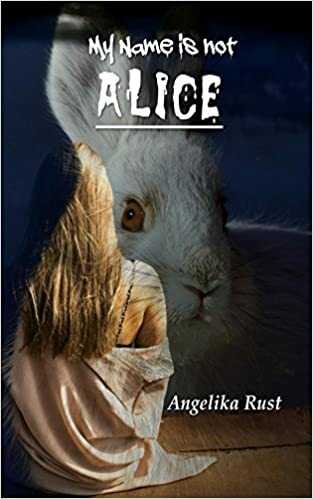 Alice’s mother has made catastrophic choices, for all the best reasons, and Alice — and the reader — could easily see her as the villain, except that she is written humanely as another victim. The romance subplot is important to the main plot, and manages to be awkward, touching, funny, believable, and ultimately satisfying in unexpected ways. The book ends on a hopeful but unresolved note, fueling anticipation for a sequel. Update: the sequel, Double Double Time and Trouble, is out now!